Losing notifications might be simple for some people, but it’s so risky for others. Learn how to recover lost notifications on an Android phone using the built-in function and other apps via this article. Have you ever lost a notification which unfortunately was important due to random and continuous dismissing? Have you ever clicked on the CLEAR button and cleared the whole notification area because it was filled with annoying notification, and in return, lost notifications? Notifications are one of the oldest invents in the history of mobile, and for new mobile phones that use Android or iOS as operation systems, it has become so important, but annoying. In many cases, you lose very important notifications, like a message from someone, or a log-in authentication notification, or even a breaking news from one of the applications you are subscribed in. And all of that may be because you looked at your lock screen and found it filled with notifications, so you clicked on the 3-dash button and removed them all. In this article, I will guide you to learn how to recover lost notification on Android using one of the best five methods I will show you in the following lines. 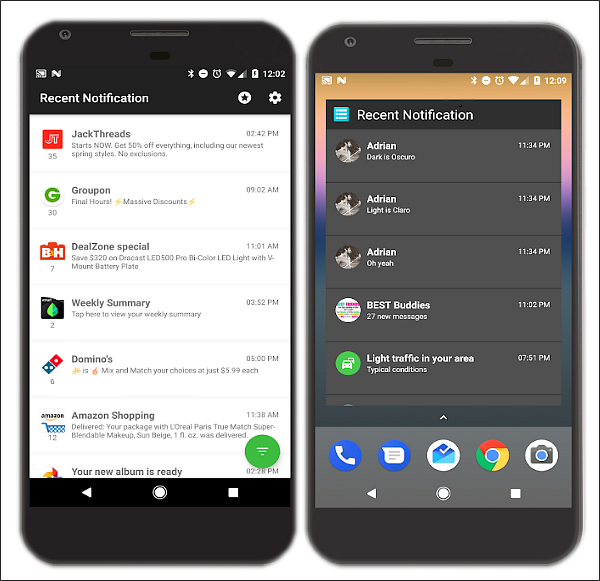 There are several ways to view lost notifications on Android , but in this article, I will focus on the best chosen 5 methods; 4 of them are by using third-party free applications available on Google Play Store, and the last one is by using what’s called “Notification History” function available on Android operating mobile phones. The first time we saw the notifications log was when Android 4.3 Jellybean introduced, and fortunately, it’s available on the newer versions of Android. You can view lost notifications on Android through Notifications log, but how to enable it, there is a secret behind that. First: Head to the phone Settings. Second: Click on About Phone. 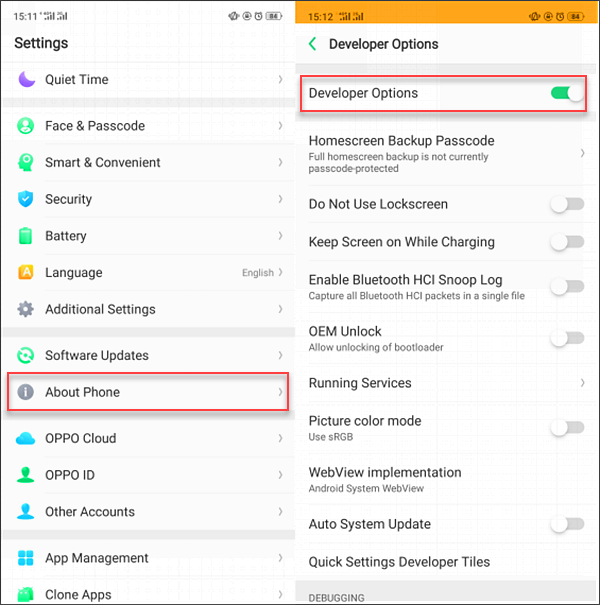 Third: Tap several times on Build Number, maybe 3 or 4 or even 7 depending on your mobile manufacturer, and you will get a pop-up notifying you that you are now a developer. Now follow this set of steps to find the Notification Log. First: After enabling the Developer mode, go to your home screen and hold your finger on any empty space, then tap Widgets. Second: After then, scroll down to find Settings Shortcut widget. When you find it, click and hold your finger on it, and then drag it to the home screen. Third: After you have put Settings Shortcut in your home screen, open it and scroll down until you find Notification log, and click on it. By reaching the previous step, you have found all your lost notifications in two colors; White for active notifications, and Grey for removed notifications. Now you’ve known how to view lost notifications by using the built-in Notification Log function. In the following lines, I will dig into 4 applications you can use to recover deleted notifications , and they are all free to download and available at Google Play Store. 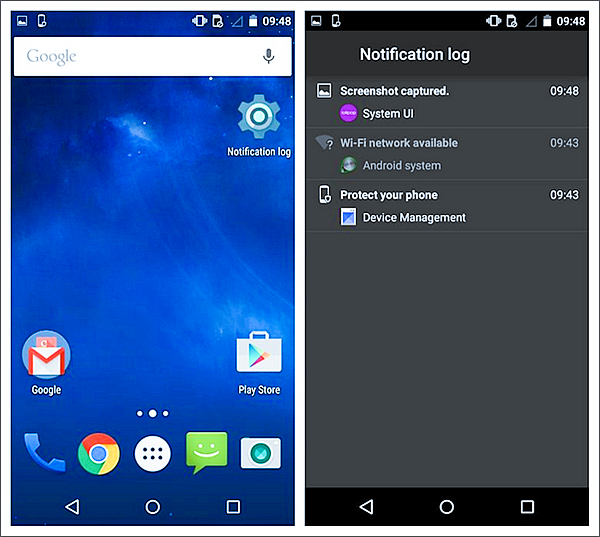 The first application is Notification History Log, it’s a simple application with many built-in functions that will help you to recover cleared notifications on Android . The first feature of this application is that once it’s installed, it will start generating the notification log, from which you can go back and view your recent deleted notifications. Also, you can sort your notifications according to any parameter, and it has a function called “Advanced History”, from where you can view your deleted messages and past notifications detailed. The application interface is easy to use, and the notifications will be grouped based on the applications they come from. Moreover, you can backup, filter, and favourite your notifications. Along with the ability to change the themes from light to dark and vice versa. You can also blacklist some applications that you don’t want to see their notifications in the notification logs. 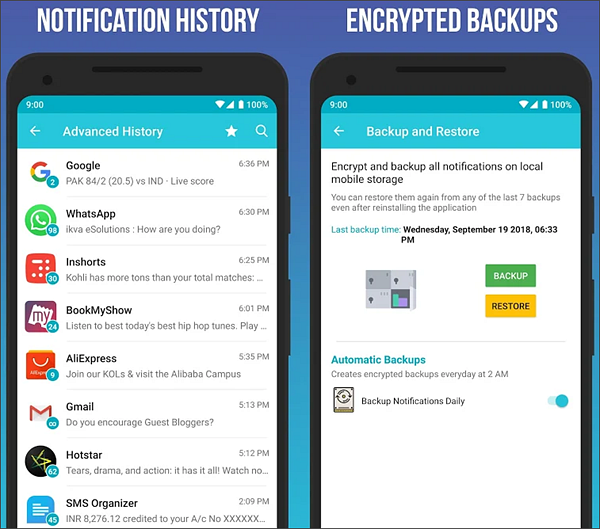 The Notification History Log is available for free over Google Play Store, and there is another Pro version with more features, and you will see the Pro-only features marked with (*). 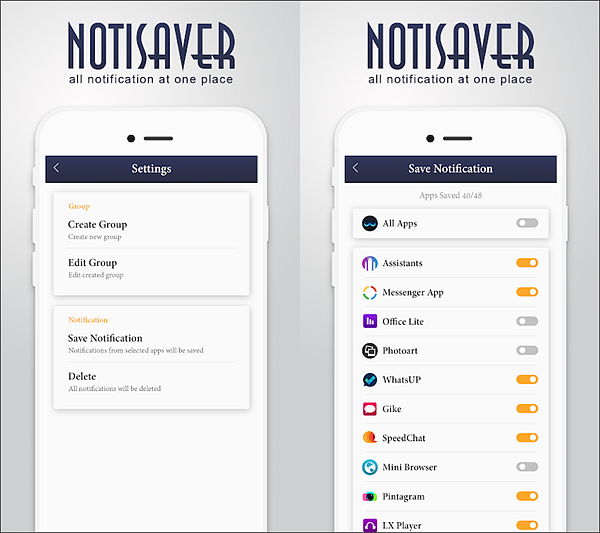 The Notisaver is another application that helps you to save, favourite, and recover deleted notifications easily with its easy-to-use interface. 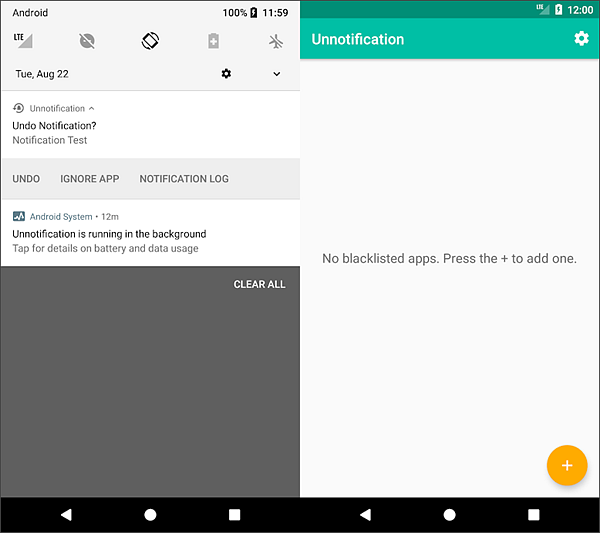 The Notisaver also has an unlimited notification log size, with the ability to blacklist applications, and you can even search notifications so you find a specific notification that you’ve missed. All the functions of the app work on the notifications received after installing it, which means that unfortunately, you will not be able to recover deleted notifications before installing it. Notisaver is available for free over the Google Play Store, and It’s really a good choice. This application is for Android 8.0 Oreo users only. It’s easy, simple, and do its work as required. You can use Unnotification to recover lost notifications due to deleting or dismissing. All you will need is to give it the permission to access your notifications after you install it, then you will have nothing more to do. Also, it has a function called Quick Settings, this function allows you to recover the last deleted notifications at any time. Unnotification also has the blacklist option to let you blacklist any application from showing notifications, and you can do that by clicking on (+) icon so no application can show its notifications anymore. You can download Unnotification and install it for free via Google Play Store. It’s a good choice for Android Oreo users. The application is completely free, with no exclusive functions, but you can donate if you want, and it’s completely optional. The last application in today’s article is Recent Notification, this application offers many options like grouping notifications by application, Read the full details of notifications, Notifications filter, and removing notifications by swiping. It also has a plus option that allows it to automatically delete notifications after a specific period you pre-determine. The application interface is really simple and easy, and it’s developed using Material Design which makes it comfortable. Recent Notification is free and you can download it from Google Play Store. By reaching this line, you have known how to recover lost notifications by using the built-in Android function that has been released within the release of Android 4.0 Jellybean, and by using one of the best four apps according to our experts in the field of recovering deleted notifications. Now it’s your turn to tell us more from what you know in the comments section below and share this article with your friends and family so they benefit from it. Have you lost more than notifications? Files, messages, pictures … etc. I recommend you to use Gihosoft Free Android Data Recovery Software that will help you recover all your data with a click of a button. It’s free to use and it’s the best of its kind. 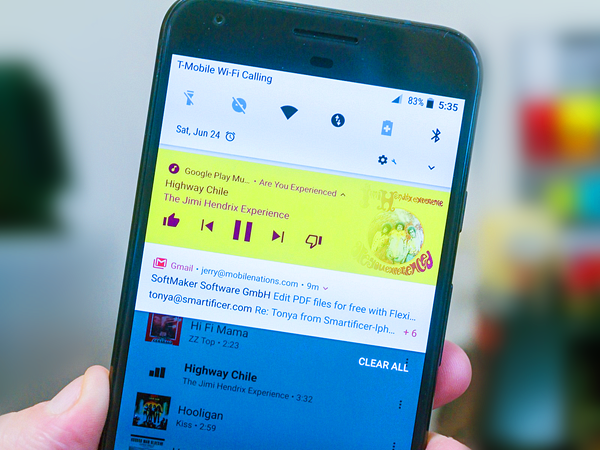 Enjoy recovering deleted files from Android by clicking the button below right now!